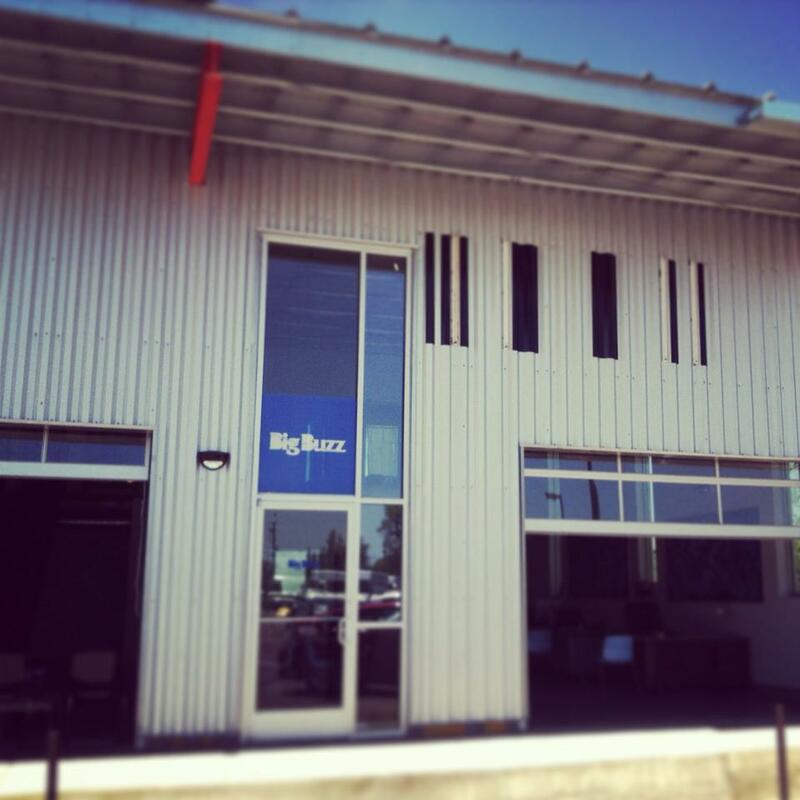 What it’s like to be an intern @ Big Buzz! Big Buzz has some amazing interns, two of which are Lucas and Holly! Both recently jotted down what their experiences at Big Buzz have been like so far, why they enjoy hanging with our office, and what they’ve learned up to this point. Read on! Can you picture the perfect work environment? Is it a little boutique store with a lot of charm? Is it working from the comfort of your own home? What about a bustling, contemporary Manhattan suite? What would best characterize the people you work with? A little bit boisterous? Maybe more reserved? Would they keep you on your toes, or would they establish office tranquility? If someone had asked me three weeks ago to paint the ideal work environment, I’m not sure I would’ve had a clue what to say. Fast forward three weeks, and I have a perfect visual. I get to work in it twice a week. Imagine your desk spotted in the middle of a sprawling, modern, and masterfully renovated old factory building. On a nice, sunny day, you’re enveloped by a breeze flowing through the open garage-like door located 15 feet in front of you. The laughter of children at the daycare across the street reminds you not to take anything too seriously. Ingenuity, passion and well-timed sarcasm characterize every meeting. Big personalities, but not big egos, surround you. Input from everyone is valued and decisions are made democratically. Teamwork isn’t an idea, it’s a reality. When two o’clock in the afternoon hits, a 20-minute meditation session serves as an alternative to another cup of coffee. I’d be lying if I said I wasn’t trying to fight off the giggles during my first day – three weeks in, I’m at a loss as to why there hasn’t been a federal mandate requiring all businesses to engage in daily meditation. Needless to say (although I think I already have), I’m pretty thrilled about where I’ve found myself. Maybe it was my lack of expectation, or a stroke of luck – maybe a combination of both. Regardless, all I’ve got left to do is cherish the opportunity to be where I am, with whom I am, doing what I am. And, cherish, I will. Interning at Big Buzz has been nothing short of inspiring, quirky, unparalleled, and downright rad. And that’s just how I like it. From the lively people I get to work with, to the loyal clients that Big Buzz retains, there is no time for boredom. The night before my first day was one that I will never forget. I was so nervous and excited; it felt like Christmas Eve and I was about to meet Santa Claus. I didn’t know what to expect. It was thrilling! The first day was everything I expected… and yet everything I didn’t expect. The part about it being everything I didn’t expect was because it was more than I could have imagined. It was such a friendly environment and openness for ideas and sharing…I was impressed. Fast forward a couple weeks. As I was purposefully working on various tasks assigned to me, the intern, I stopped and thought about how lucky I am to be able to come to a place like Big Buzz and learn from the best. Each person has something unique and fresh to bring to the table. With the creative side and practical business aspects all working harmoniously, it is no wonder that clients have nothing but positive things to say. From my exciting first day until now, each time I have come into work, there has always been a different job for me to do, and a different way for me to learn. I can honestly say that in just these first weeks, I have learned more about what marketing in the real world is like than I could have learned from a textbook. Not to mention, their helpfulness meter is off the charts. Probably one of the coolest things that takes place on a daily basis is meditation. As Lucas, my fellow intern mentioned, it should be federally mandated because it is the greatest thing since sliced bread in the workplace. And I think it is also what makes Big Buzz a unique place to work, because there are no other work places that I know of that have time set aside to meditate. For me it acts as a ‘reset’ button, and when a long day seems to be dragging, meditation is the perfect remedy. While it has only been a couple weeks that I have been lucky enough to be here, it has been nothing short of uh-mazing. And yes I did mean to spell it that way because it deserves to stand out and be different, just like Big Buzz. I cannot wait to see what the weeks ahead have in store, but I can promise you that they will be monumental. I have so much to be thankful for and am ready to take on this next adventure! Learn more about the day-to-day life of a Big Buzzer by visiting our Facebook page!